"Intro to the multicore ActivityBot." "Propeller Activity Board and Propeller C Learning System." SimpleIDE Software for Propeller C Programming. Learn real-world engineering skills with the friendly, capable, and peppy ActivityBot. 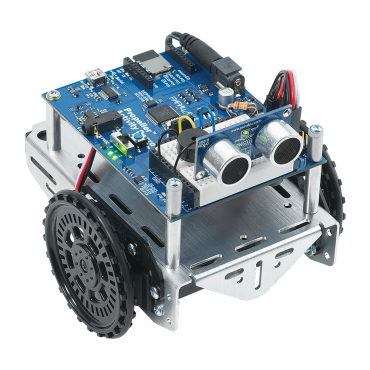 It's a great option for first-time robot-builders, as well as for an intro to technology and engineering courses in high schools and colleges. 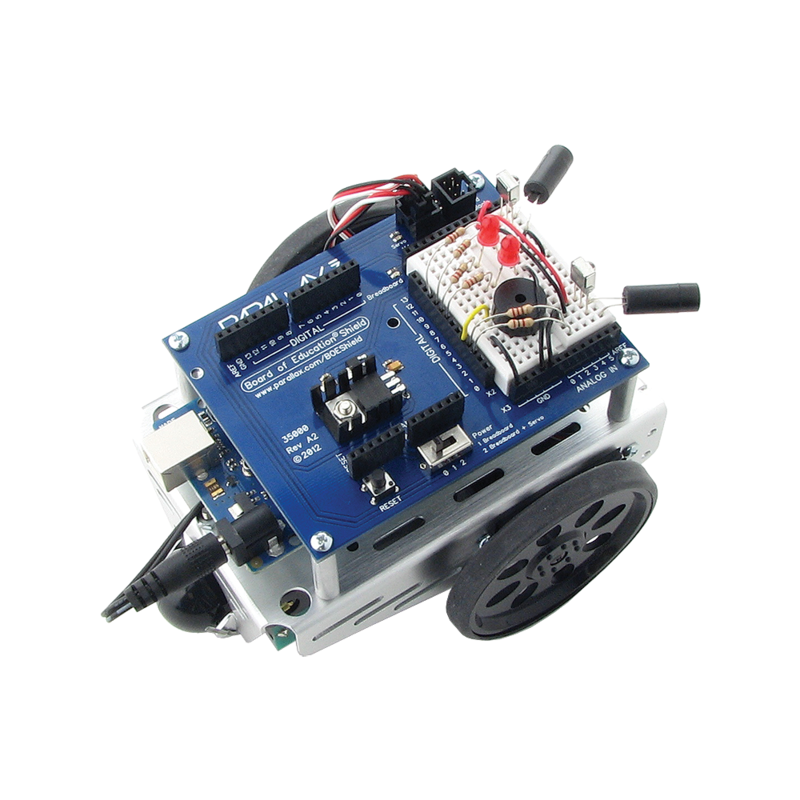 Step-by-step web tutorials take you through programming its multicore Propeller chip in C, wiring circuits on a breadboard, and building sensor systems so your robot can navigate on its own. Following the checkmarks gets you to the fun fast, with optional links for added learning. Easy to program in C on Windows, Mac, or Linux with the SimpleIDE software and custom Simple Libraries. Multicore Propeller control board makes it quick to integrate sensors, motors, and more. High-speed servo motors with optical encoders provide fast, consistent maneuvering. Breadboard and 3-pin headers let you experiment with common electronics parts, no soldering or proprietary connectors required. Component kit makes navigation systems that use touch, visible light, infrared light and ultrasonic sensors. Built-in SD card slot and microSD card are ready for data-logging and file storage. 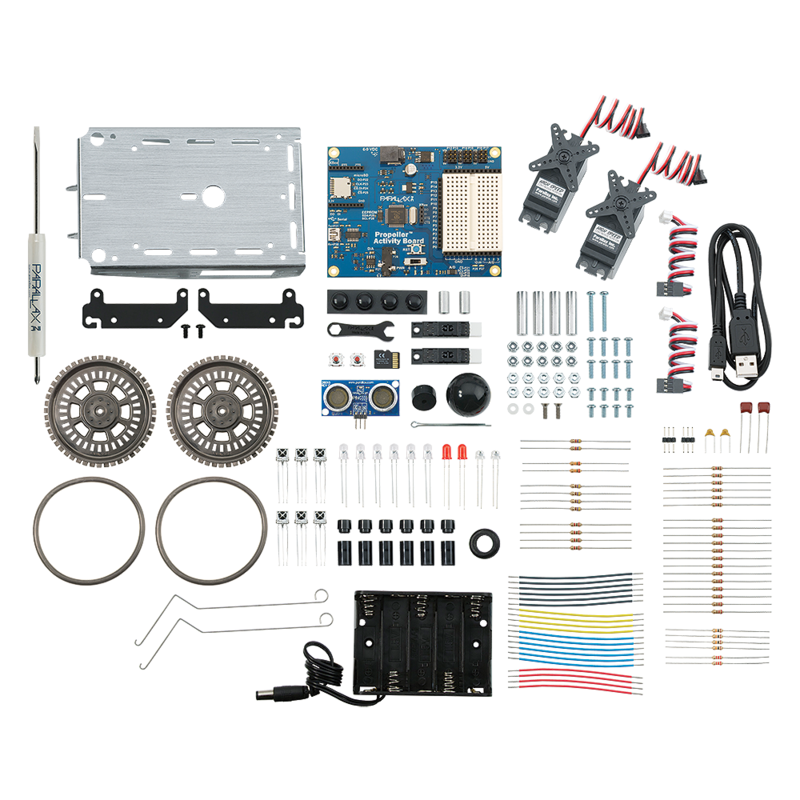 A great hobby kit for exploring electronics and programming. An affordable STEM education platform to provide a low robot/student ratio. 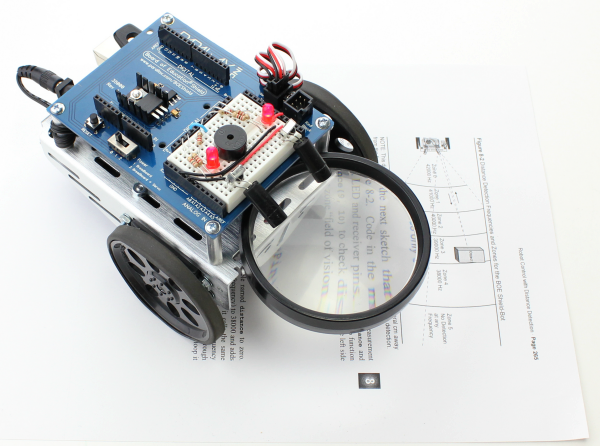 NOTES: The ActivityBot requires five 1.5 V AA batteries, not included. Power requirements: 7.5 VDC; as five 1.5 V AA batteries (not included). Communication: USB 2.0 for programming and serial port debugging. Dimensions: 4 x 4.5 x 5.7 inches (10 x 14.4 x 11.5 cm) assembled, without sensors. Operating temperature range: 32 to 113 °F (0 to +45 °C). (1) - Propeller Activity Board. (2) - High Speed Continuous Rotation Servos. (1) - PING))) Ultrasonic Distance Sensor. (1) - Small Robot Chassis. 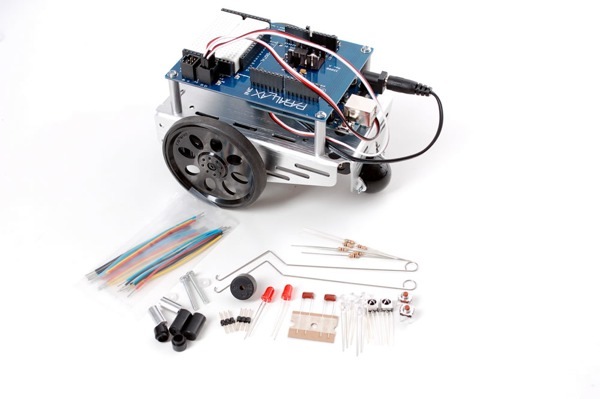 (1) - ActivityBot Encoder Kit. 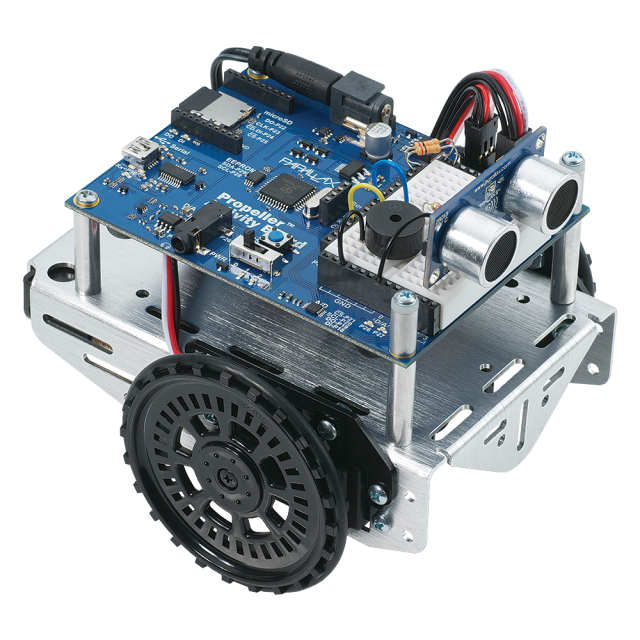 (2) - ActivityBot Encoder wheels with O-ring tires. (1) - 1" Tail Wheel Ball. (1) - 5 AA Battery Holder. (1) - Parallax Combination Wrench. (1) - USB A to Mini-B Cable. (1) - 2 GB microSD card. (1) - Electronics pack with passive components plus light, touch, and infrared sensors. (1) - Hardware pack with all the screws, nuts, and standoffs needed. Bring you fresh updates, new activities, and bonus projects faster. Add more sensors, instead of more paper, to your kit. Choose a box that fits the assembled robot, instead of a book. Save on weight to lower your shipping costs and use less fuel.